Ben Shapiro writes: Remember that time Seattle’s socialist city council member Kshama Sawant pressed for the city to increase its minimum wage to $15 per hour? I actually debated Sawant on the issue; I asked her if she would be in favor of raising the wage to $1,000 per hour. She misdirected from the issue. Seattle actually ended up embracing $13 per hour, raising the minimum wage from $9.47 in 2014 to $11 in 2015 to $13 in 2016 under the theory that an increase wouldn’t throw people out of work, wouldn’t encourage part-time hiring, and would inflate salaries enough to allow more affordability in the Seattle housing market. A new study demonstrates that, as usual, central planning of the economy leads to precisely the reverse of the results the planners seek to achieve. Mike Carter reports: Veteran Seattle police Officer Alex Chapackdee is accused of helping his brother-in-law and others smuggle at least 100 kilograms of marijuana to the East Coast. In return, Chapackdee was paid $10,000 a month, charges allege. Federal prosecutors will ask that a suspended Seattle police officer charged with being part of a large-scale East Coast marijuana smuggling ring be held in jail pending trial. U.S. Magistrate Judge Brian Tsuchida set a detention hearing Friday for Alex Chapackdee, who faces a mandatory-minimum five-year federal prison sentence — and perhaps up to 40 years — for his role in allegedly transporting hundreds of pounds of marijuana from Washington to Baltimore then driving back with boxes of cash. The court also could impose a fine of up to $5 million if he’s found guilty. Chapackdee, a veteran Seattle police officer, appeared briefly in U.S. District Court in Seattle Monday afternoon along with three co-defendants named in a 15-page complaint unsealed Monday. He was arrested last Friday and suspended from duty without pay. More than two dozens shocked friends and family members crowded Tsuchida’s courtroom during the brief hearing. The suspect in a shooting at a Washington state mall Friday that left five people dead has been caught, the Washington State Patrol said Saturday. Arcan Cetin, 20, of Oak Harbor, was arrested, a spokesman for the state patrol said. The patrol first announced the arrest on Twitter at around 7:15 p.m. local time (10:15 p.m. ET). 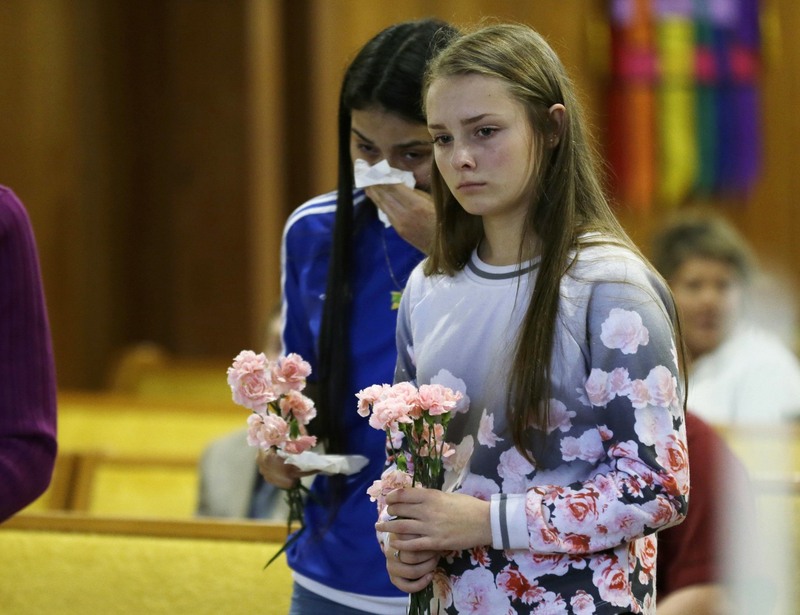 Five victims — four females and a male — were killed after a gunman described as wearing a black T-shirt and black shorts opened fire inside a Macy’s department store at the Cascade Mall in Burlington just before 7 p.m. local time (10 p.m. ET). Oak Harbor is about 28 miles southwest of Burlington. 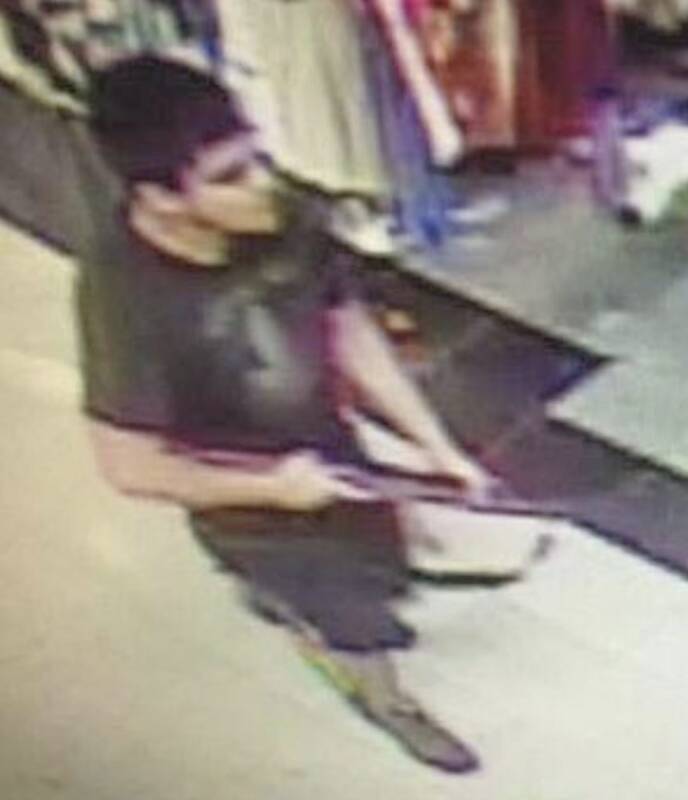 Security footage showed the man entering the mall, apparently without a weapon. In additional footage from about 10 minutes later, he “entered Macy’s with a rifle and fired multiple times,” Mt. Vernon police Lt. Chris Cammock said earlier. The mystery surrounding the hijacking of a Northwest Orient Airlines flight in November 1971 by a still-unknown individual resulted in significant international attention and a decades-long manhunt. SEATTLE – Forty-five years after an unidentified man parachuted from the rear of a hijacked jetliner and into folklore with $200,000 in cash, the FBI is officially closing its investigation into the famous “DB Cooper” case that has transfixed people around the world ever since. During the course of the “NORJACK investigation,” as it is known by the FBI, agents reviewed all credible leads, coordinated between multiple field offices to conduct searches, collected all available evidence, and interviewed all identified witnesses, Dietrich-Williams said. National Embarrassment: Seattle Public Utilities Privacy Violating Ordinance Laughed Out of Court. Under the 2015 ordinance, garbage collectors were required to determine by “visual inspection” whether more than 10 percent of a trash can’s contents were made up of recyclable items or food waste. Violators are subject to fines. Valerie Richardson reports: A state judge threw out a portion of a Seattle ordinance requiring garbage collectors to snoop through residents’ trash in search of food waste, calling the provision unconstitutional. King County Superior Court Judge Beth M. Andrus issued an injunction against the garbage inspections but not Seattle’s residential food-waste ban, which forbids throwing away food scraps and compostable paper. Ollie Gillman reports: Amanda Knox has been cleared of slandering police officers and a prosecutor in Italy. Knox, who was cleared last year of murdering British student Meredith Kercher, was charged with slandering police in Perugia by claiming they interviewed her under duress. The 28-year-old, who shared a student house with Miss Kercher when she was killed, said she was yelled at, slapped and threatened by police. A judge in Florence threw the case out on Thursday after ruling that her comments were not slanderous. Italian media said lawyers for Knox, who returned to the U.S. after her successful appeal and is now working as a journalist in Seattle, said she was ‘very happy with the acquittal’. If she had been found guilty she would have had to pay each of the seven officials 15,000 euros ($16,300). Knox was charged with slandering the officers back in 2011, when she was being questioned on charges of separately slandering Congolese bar owner Patrick Lumumba. He spent two weeks in jail in 2007 after Knox accused him of murdering Miss Kercher, which was found to be untrue. Franz-Stefan Gady reports: This week, the People’s Republic of China successfully conducted a sixth flight test of its DF-ZF (previously known as WU-14) hypersonic glide vehicle (HGV), Bill Gertz of The Washington Free Beacon reports. The DF-ZF is an ultra-high-speed missile allegedly capable of penetrating U.S. air defense systems based on interceptor missiles. The launch of the DF-ZF took place at the Wuzhai missile test center in central China’s Shanxi Province. A ballistic missile transported the DF-ZF HGV near the edge of the atmosphere, where it separated from its launcher and then glided to an impact range a few thousands kilometers away in western China, according to The Washington Free Beacon. Felicia Sonmez and Gillian Wong report: Is Frank Underwood a fan of online shopping in China? We couldn’t possibly comment. On Tuesday, Chinese e-commerce giant Alibaba rang in China’s Singles’ Day online shopping holiday with a star-studded gala at Beijing’s Water Cube. The event included a video appearance by actor Kevin Spacey, who plays the scheming politician Frank Underwood in the hit U.S. TV series “House of Cards.” The show airs online in China and is a favorite of China’s anticorruption czar – and perhaps even its top leader. Connor D. Wolf reports: Seattle, which recently passed a $15 minimum wage, has seen the loss of 700 restaurant jobs despite the rest of the state seeing huge increases, according to a Wednesday report. The mysterious shift in venue took place the week before China’s president, Xi Jinping, is scheduled to make a state visit to Britain, the first by a Chinese leader in a decade. HONG KONG — Michael Forsythe reports: China’s leaders have long behaved as if nothing could daunt them. But an 800-year-old document written in Latin on sheepskin may have them running scared. Magna Carta — the Great Charter — is on tour this year, celebrating eight centuries since it was issued in 1215 by King John of England. It is regarded as one of the world’s most important documents because of language guaranteeing individual rights and holding the ruler subject to the law. It is not clear why the public showing was moved off the Renmin University campus. But Magna Carta is widely considered a cornerstone for constitutional government in Britain and the United States, and such a system is inimical to China’s leaders, who view “constitutionalism” as a threat to Communist Party rule. In 2013, the party issued its “seven unmentionables” — taboo topics for its members. The first unmentionable is promoting Western-style constitutional democracy. The Chinese characters for “Magna Carta” are censored in web searches on Sina Weibo, the country’s Twitter-like social media site. Henry Kissinger long ago recognized the problem: a talented vote-getter, surrounded by lawyers, who is overly risk-averse. Let’s see, now. A great campaigner. A bunch of lawyers. And a “quest for minimum risk.” What is it about this combination that sounds familiar? At first, I assumed that the strategy was simply not to be like his predecessor—an approach that was not altogether unreasonable, given the errors of the Bush administration in Iraq and the resulting public disillusionment. I read Mr. Obama’s 2009 Cairo speech—with its Quran quotes and its promise of “a new beginning between the United States and Muslims around the world”—as simply the manifesto of the Anti-Bush. Hanauer is now at the center of a lawsuit filed by the International Franchise Association. Bill McMorris reports: Radical venture capitalist Nick Hanauer served on a city advisory committee that eventually produced the legislation boosting minimum wages to $15 per hour. The legislation takes special aim at franchisees, forcing them to adopt higher wages than other small businesses under a shorter timeframe. Hanauer, a private-jet-owning multi-millionaire who once had a speech scrubbed from the TED conference website for being “too political,” is a member of the Democracy Alliance, a shadowy collection of liberal millionaires and billionaires that funnels money into Democratic causes. The group has pumped hundreds of millions of dollars into various liberal foundations, Media Matters, and Democratic super PAC Priorities USA. The group is secretive and does not divulge membership rolls, fundraising goals, or allow reporters at its annual meetings. Hanauer is now at the center of a lawsuit filed by the International Franchise Association to overturn the law, according to the Seattle Times. “The truth is that franchises like Subway and McDonald’s really are not very good for our local economy. They are economically extractive, civically corrosive and culturally dilutive,” Hanauer wrote in an email obtained by the association. The Gun tax is designed to raise money for gun violence research and prevention programs drive gun stores out of business. The Second Amendment Foundation says the city’s new law goes against the state’s preemption law which prevents any city or municipality from implementing stricter gun laws than the state. That means more than 20 licensed gun dealers operating within city limits are facing hefty taxes starting January. City leaders say they hope to raise $300,000 to $500,000 a year through the new gun tax. But gun shop owners are now threatening to sue the city. “Guns are out of control in this country,” Terri Hollinsworth with Grandmothers Against Gun Violence said. The group says gun violence is an epidemic. “About a third of homes in Seattle have guns in them and our goal is that every one of those guns are safety stored,” Margaret Heldring with GAGV said. Gandmothers Against Gun Violence marched to the steps of city hall on Monday in support of taxing guns and ammunition. They believe a $25 tax on each gun sold and up to a 5 cent tax on a round of ammunition will help deter gun violence. “Gun tax is designed to raise money for gun violence research and prevention programs,” Council member Tim Burgess said. But opponents of the measure took center stage in front of council members calling the measure unfair and ineffective.